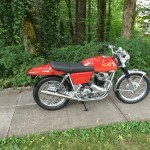 Restored 1972 Norton Commando Fastback Motorcycle. 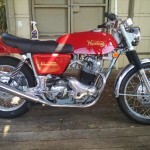 This Norton was fully restored in the USA. The 850 Mk2 engine was completely rebuilt with a standard crankshaft and new Superblend bearings. The block was powder coated in semi-gloss black. 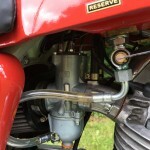 The cylinder head was rebuilt with new guides, valves and springs. 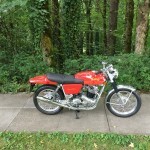 The stock points were replaced with electronic ignition. 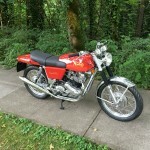 The forks were rebuilt with new tubes, polished sliders with custom alloy seal retainer nuts, OEM Euro-gaiters and custom alloy top nuts. New steering head bearings were fitted. 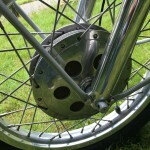 The twin leading shoe front brake was rebuilt with new bonded linings. 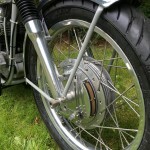 The new wheel rims were laced with new stainless steel spokes. The instruments were professionally rebuilt. 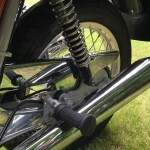 The frame, swing arm and the rear brake backing plate were custom finished in grey powder coat. All over the body work was professionally refinished. 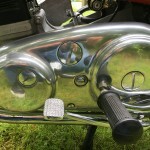 All of the fasteners were replaced or new or re-plated. 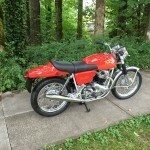 A super restored Norton Commando Fastback Motorcycle. 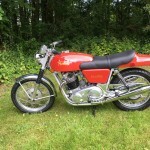 Norton Commando Fastback – 1972 For Sale or Wanted? 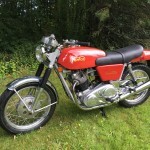 If you're looking for the perfect Norton Commando Fastback – 1972 for sale then take a look at the hundreds of restored classic motorcycles listed on our extensive Motorcycles For Sale pages. 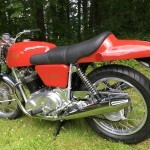 We regularly feature very nice restored Norton Commando Fastback – 1972 bikes for sale. 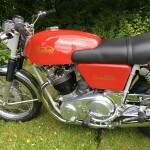 Spares and Parts for your Norton Commando Fastback – 1972? 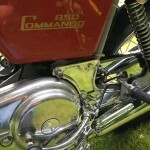 Workshop Manual for your Norton Commando Fastback – 1972?